We've all be there before. We've misplaced our keys, backpack, or suitcase when out and about traveling. It creates for a frustrating, inconvenient time that no one likes to go through. Tile, a young startup that popped up in 2013, decided that they had had enough of these annoying incidents. We've been able to use apps to find our phones when we can't locate them, but what about our keys or the other things mentioned above? In an effort to solve this once and for all, the company released a Bluetooth tracking device by the same name. 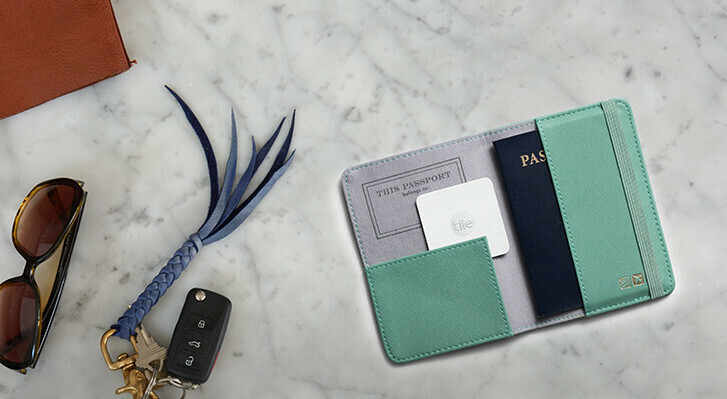 The Tile is a small and compact device that finally shipped out to backers in 2014, and it solved the issue of not being able to find your keys for good. What about other items though? What about things like wallets, passports, or purses? The original Tile is an excellent tracker, but the thickness of it makes it a bit difficult to store in tight places like this. Its creators took note of this, and as a result, we now have the newly announced Tile Slim. The Tile Slim functions exactly the same as the Tile Original. 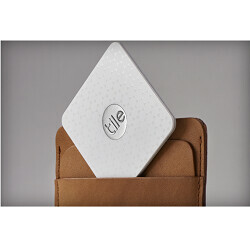 It uses Bluetooth technology to connect to your phone to track items you've lost, but this time around, the Tile Slim has a width of just 2.4 mm - about the same as two credit cards placed on top of each other. This makes the Tile Slim ideal for placing in wallets and purses, and Tile is even selling an adhesive for the Slim that allows you to stick it directly onto a laptop or other device. The Tile Slim is selling for $30, and you can save 17% by buying a 4-pack for just $100. All of the Tile Slims come with free shipping in the US and a 30-day money-back guarantee. The battery life of the Tile Slim is reported to last 1 full year without having to charge it or anything, and once that year is up, Tile is promising to make it easy to replace it with the company's reTile program.